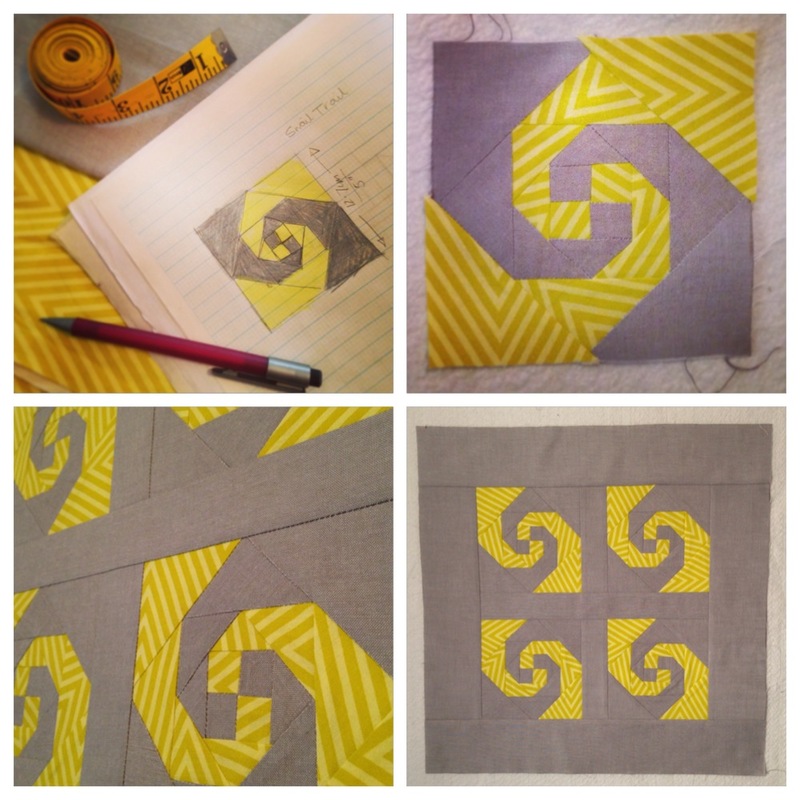 Now, I’m pretty sure I’ve shared with you just how much I love making mini sized versions of quilt blocks before… My Happy Quilt & Golden Trail Mini may jog your memory! And so today I want to take another opportunity to discuss and teach you how to make this one: the Snail Trail Block! 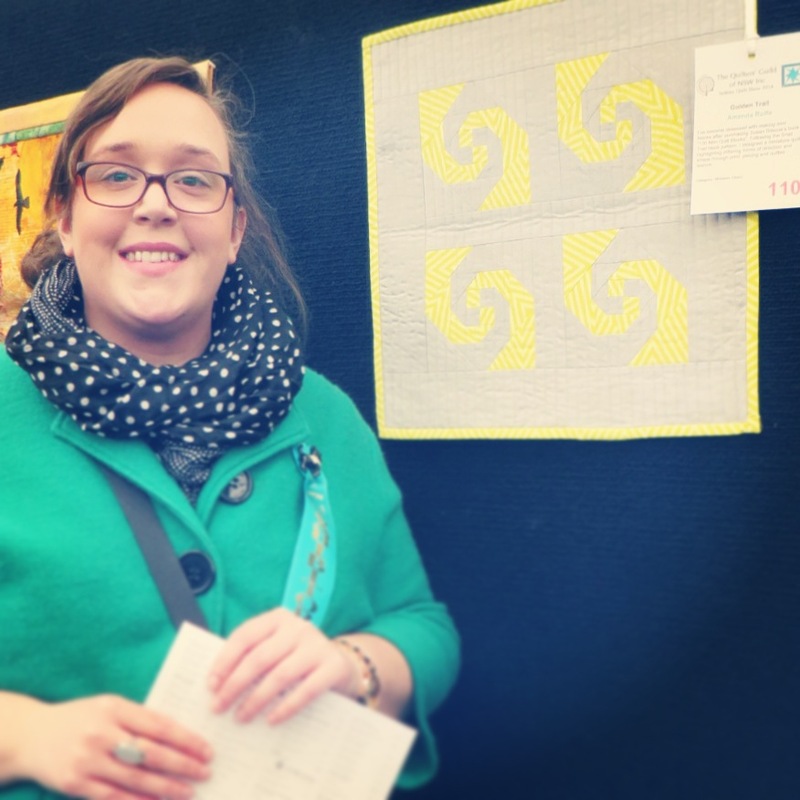 It was my entry into the Sydney Quilt Show. I was so immensely proud of it. 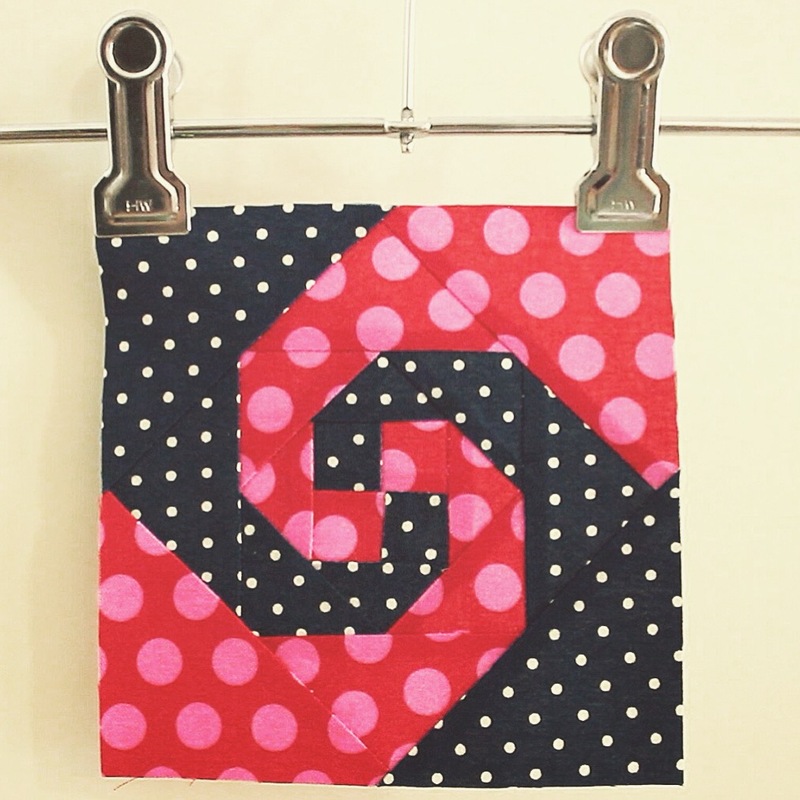 It was the first mini quilt I had ever made and loved everything about it. (And still do, actually!) At the moment, this little mini adorns the door to my bedroom. It represents my love for modern quilting, my love for pattern, texture and direction as well as the love I have for mini quilt blocks! The inspiration for this quilt block has come from my favourite quilt book in my library, 130 Mini Quilt Blocks by Susan Briscoe. I pour through the pages almost daily, looking for sparks of inspiration or for a reason to simply start cutting up fabric and piecing together a little block! So after a request and a genuine want to share how this darling little block is made, I created this tutorial for you! Now at the beginning, I have a small little chit-chat explaining a few little tips that I think will help you when you’re piecing… Then I dive right in and guide you step-by-step in how the Snail Trail Block is pieced together! The FINAL BLOCK SIZE measures: 5″x5″ or 12.7cmx12.7cm. NOTE: I will just say that the more experienced you are at patchwork, the easier the block will be to piece together, obviously. But if you are a beginner, I still encourage you to give this block a go! Take your time, read the measurements carefully and never be afraid to make mistakes! It’s only through our mistakes we learn how to do things better! So, I hope you enjoyed learning how to make this block and have been inspired to make it yourself! Previous PostTUTORIAL: Jake The Dog Pillow! 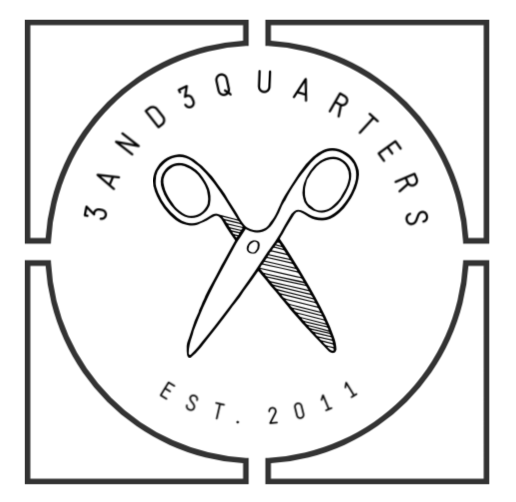 Next Post‘Quilt-Along-With-Me!’ Series Introduction! I love this block. I have it saved on YouTube, can’t wait to try it! Great tutorial! That’s great! Keep in touch with how you go! What a great video tutorial. Thanks so much for showing us how easy a snail trail block is to make.